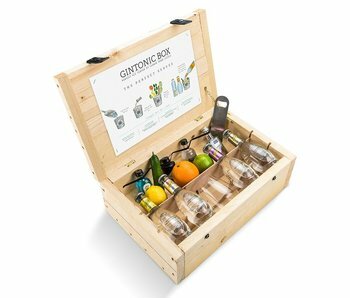 This box consists of a handmade wooden box containing a composition of a 0.7L bottle of Gin Mare Gin and 8 bottles of 1724 tonic. The box also contains an opener and garnish to finish the perfect serve. 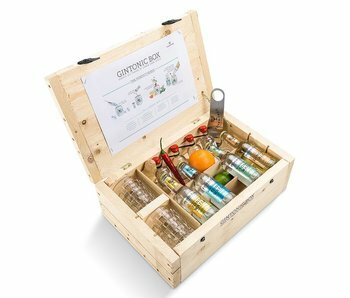 This box consists of a handmade wooden box containing a composition of 4 different gin bottles and 4 different Schweppes Premium flavors. The box also contains garnish to finish the perfect serve, an opener and a glass.